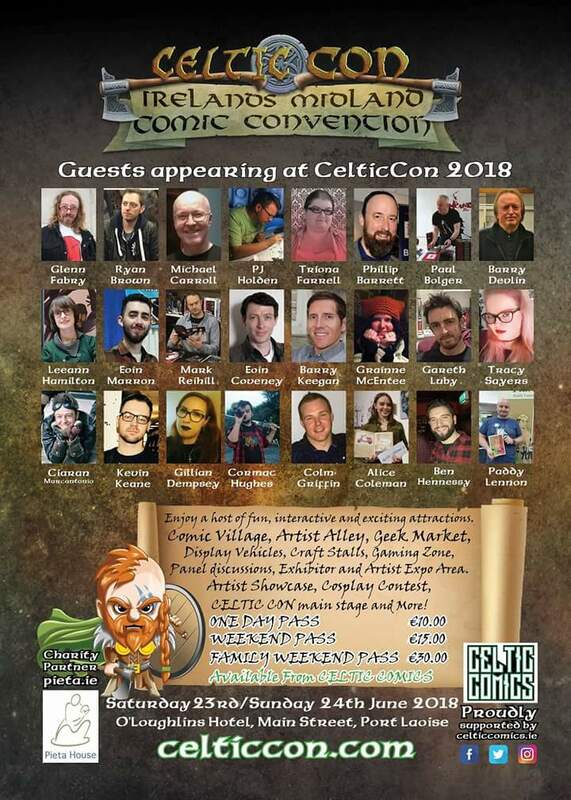 Celtic Con returns for its second year. Last years event was a heck of a lot of fun, expect this years Con to be twice as fun. Ciarán Marcantonio, Kevin Keane and Gillian Dempsey will be there to promote the release of Neon Skies, Wake and The Guards 2. Cormac Hughes will be selling prints as well as copies of Red Sands. Colm Griffin and Alice Coleman will also be there selling copies of their runaway success Ocean City and announcing when Issue 2 will be available. Though Wayne Talbot and Clare Foley cant be there, fear not... Copies of both The Broker and La Grande Breteche will be available for sale at the Rogue Comics tables. 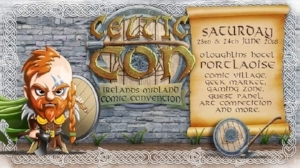 The Rogues will also be doing a panel on both days from 12:30pm - 13:15pm! if you've never been to one of our panels before be sure to come along, especially if you have an interest in creating and promoting your own comics. Our panels are the perfect place to ask creators from all backgrounds such as writing, drawing, colouring, lettering and editing the questions you need answered to make your own books. We can't wait for Celtic Con to #GoRogue. We hope to see loads of you there! Check out the full line up of guests in the gallery below.